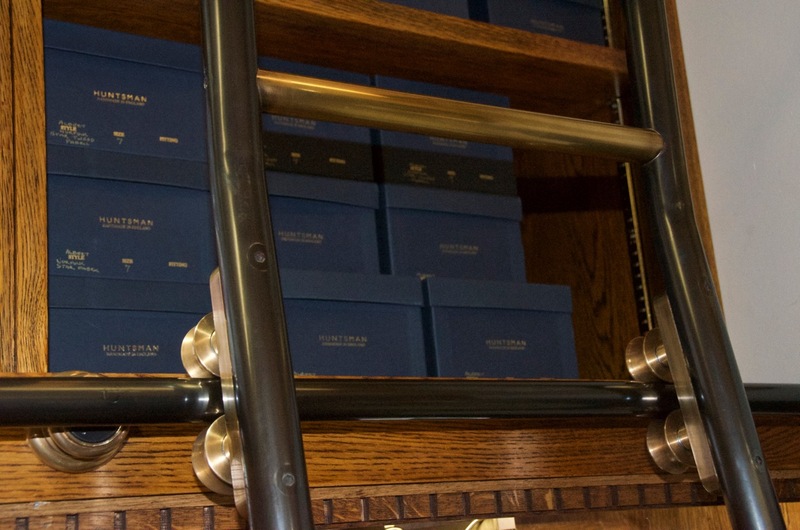 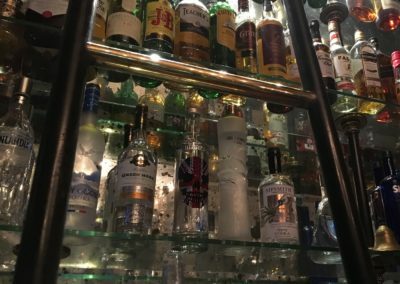 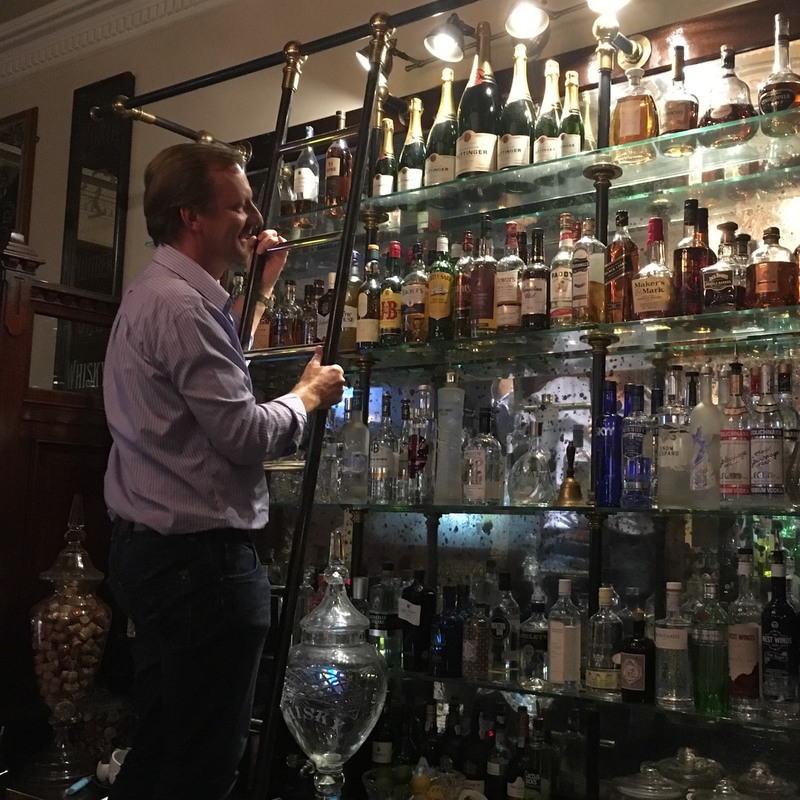 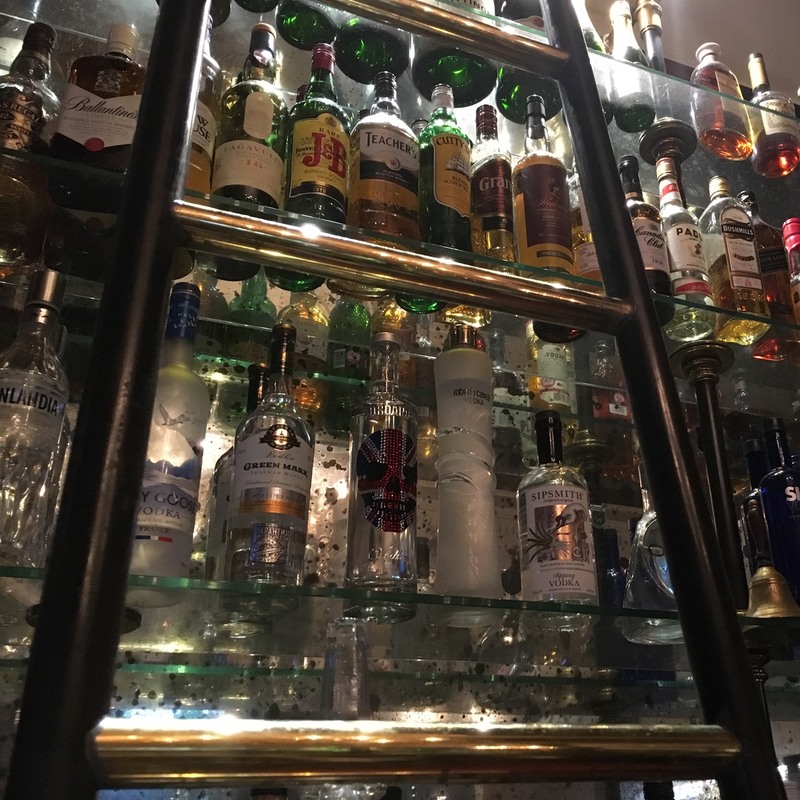 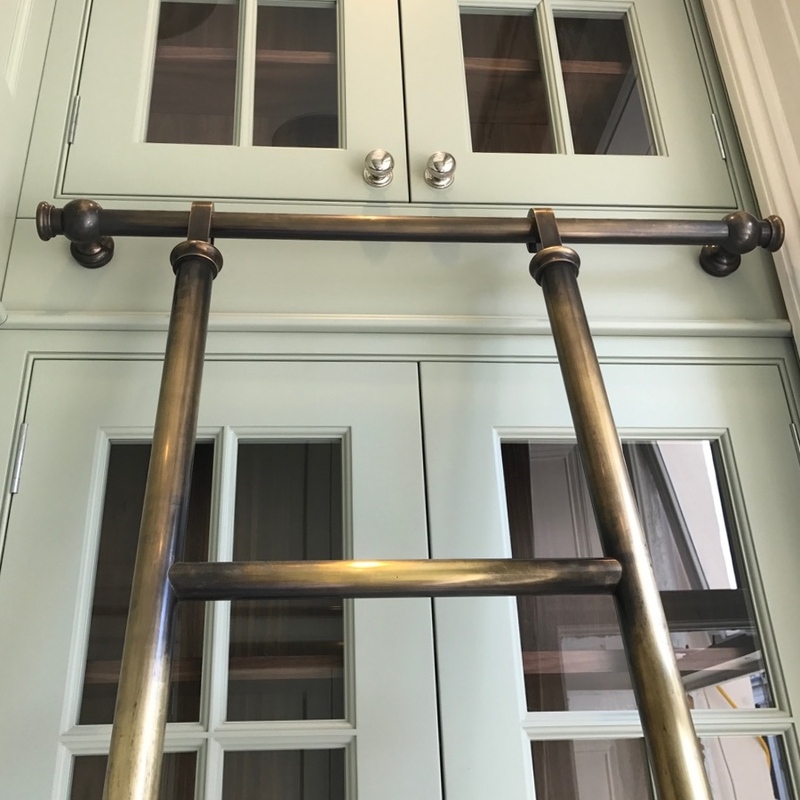 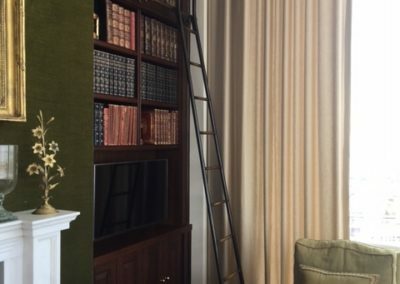 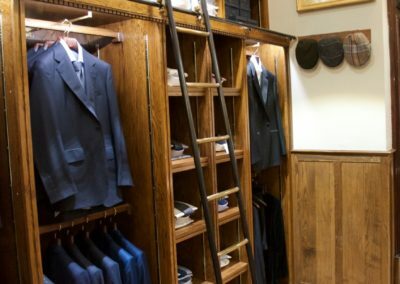 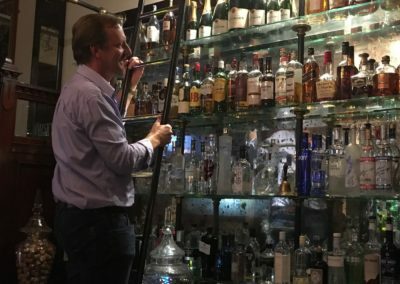 Through our Bespoke custom design service, we produce handmade library ladders for a variety of uses, from private libraries through to hotel & bar design display systems, private and commercial kitchen storage and boutique retail storage and access solutions. 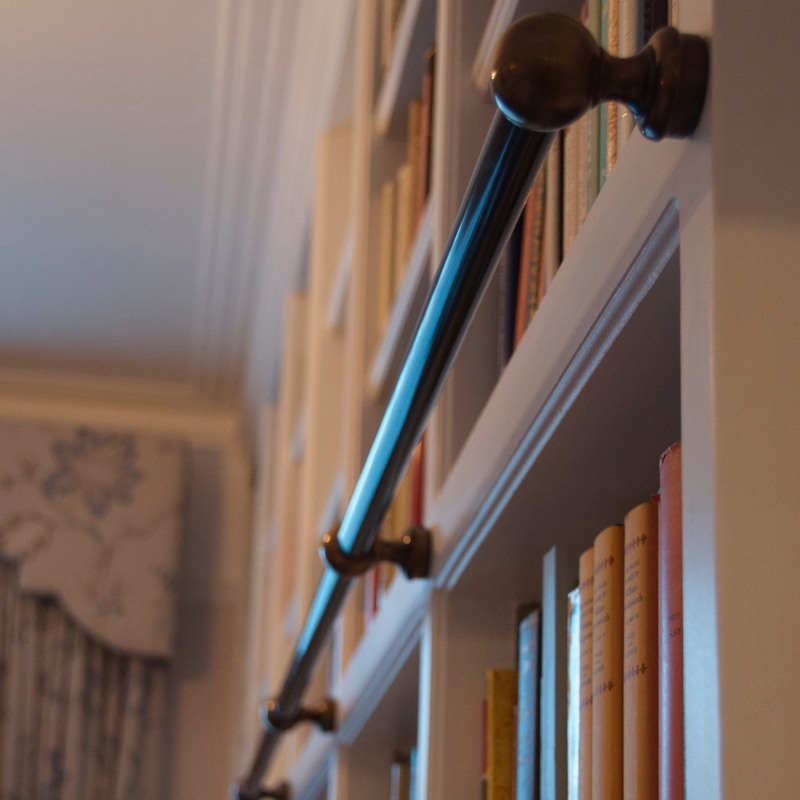 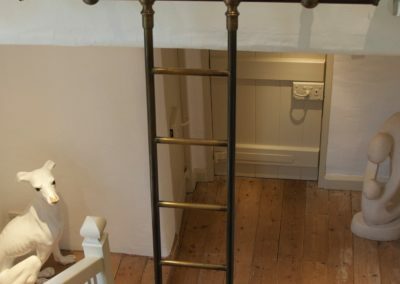 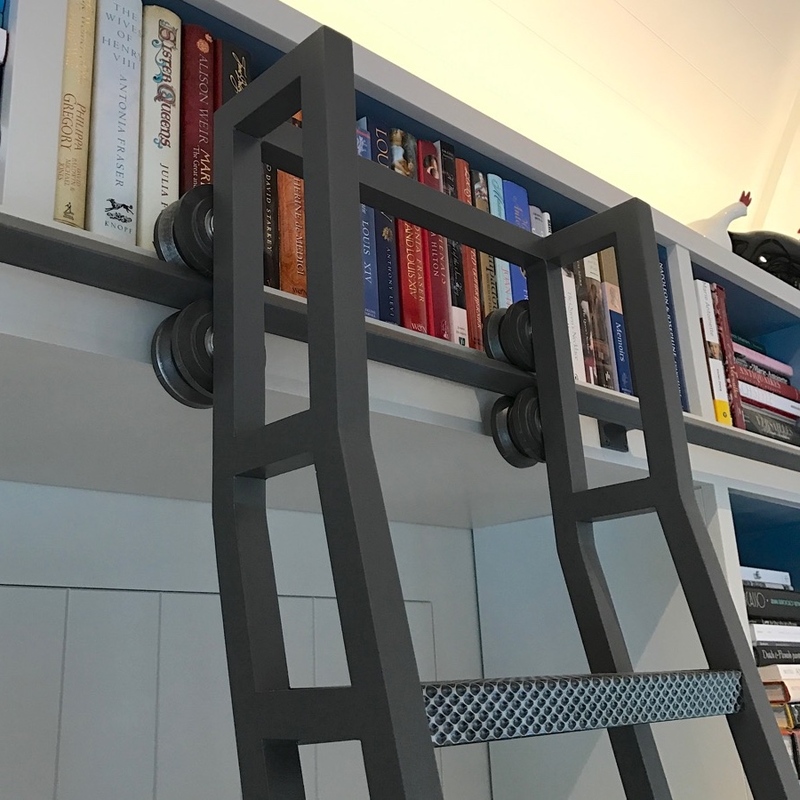 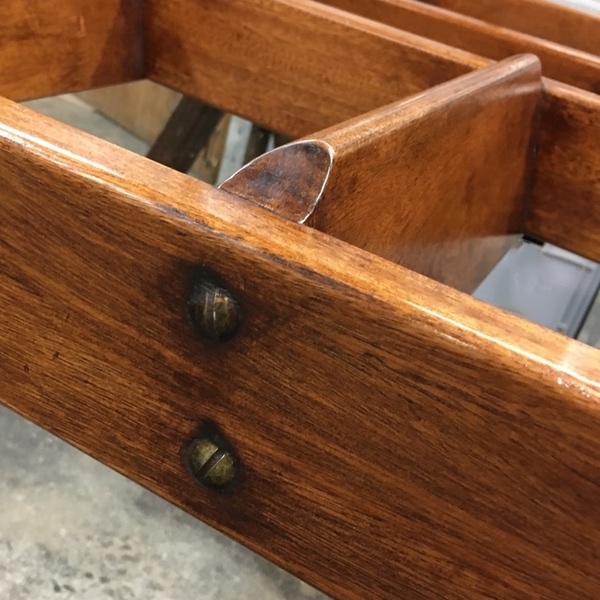 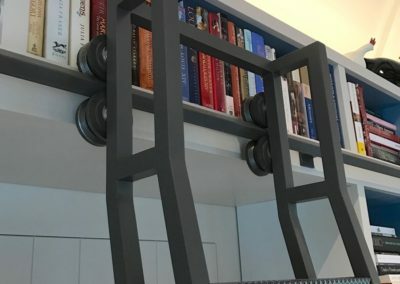 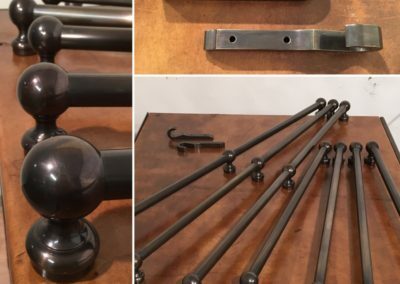 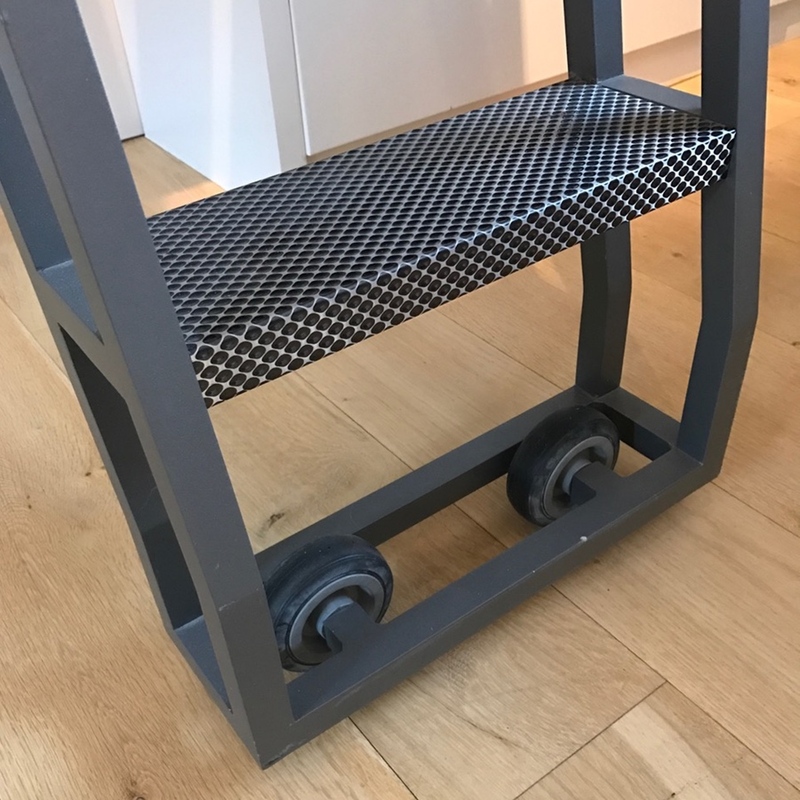 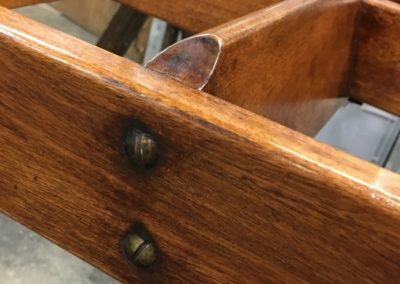 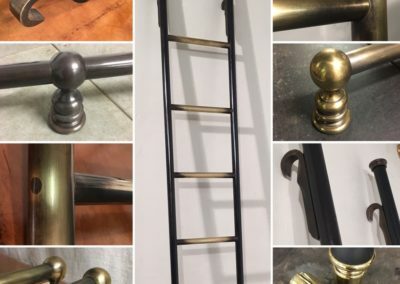 Architects, interior designers, business owners and private individuals commission pieces from us, choosing from designs such as rolling library ladders, hook on library ladders and variations in-between. 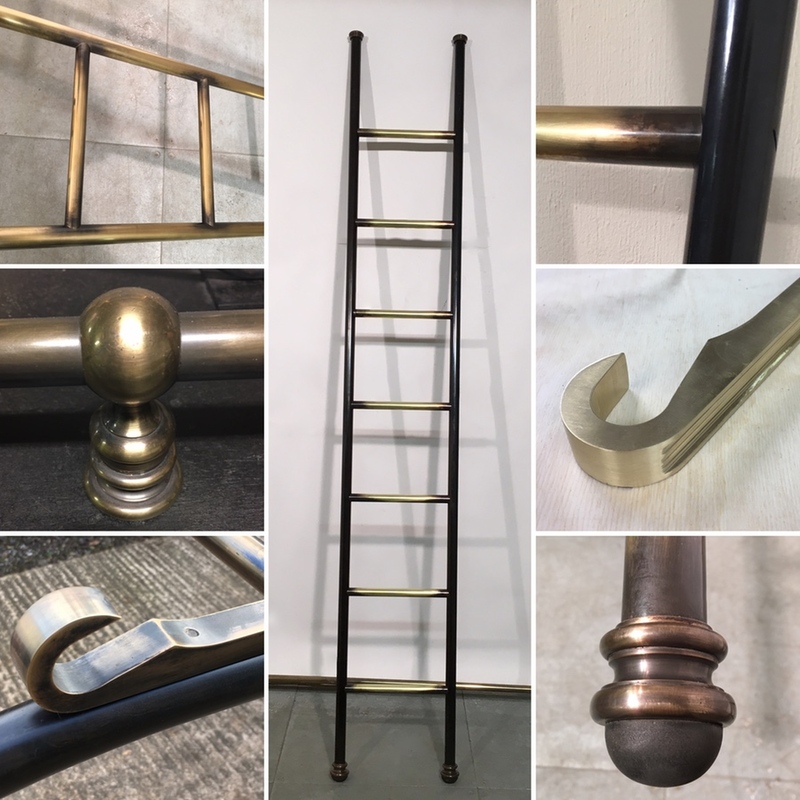 We can produce ladder systems in various styles, from the traditional right through to the modern and ultra contemporary. 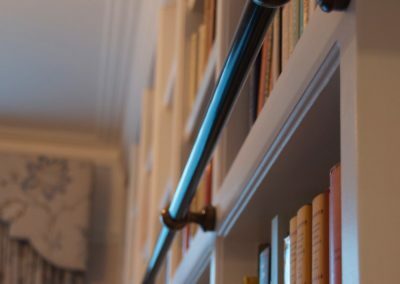 For a flavour of the work we have been asked to design and produce, please take a look at the gallery below which shows a selection of our work. 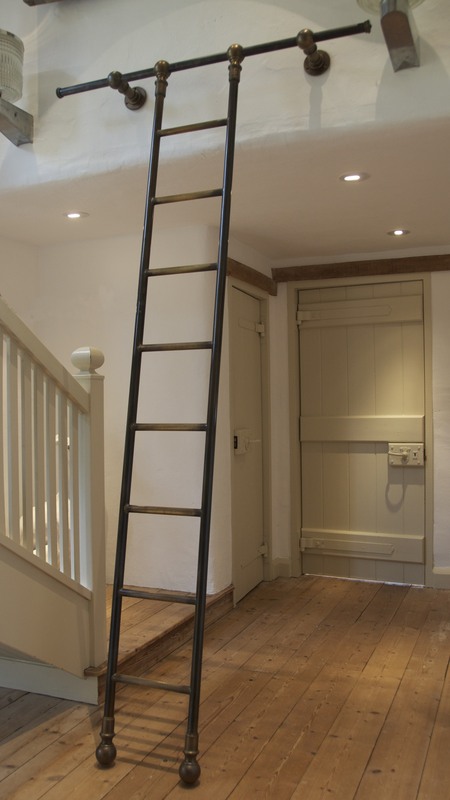 Hook-on ladder solutions start in the region of £3,000 + VAT + delivery/installation*. 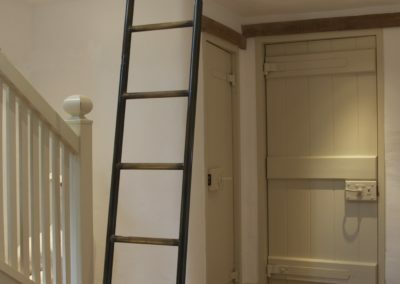 Rolling ladder solutions start in the region of £5,000 + VAT + delivery/installation*. 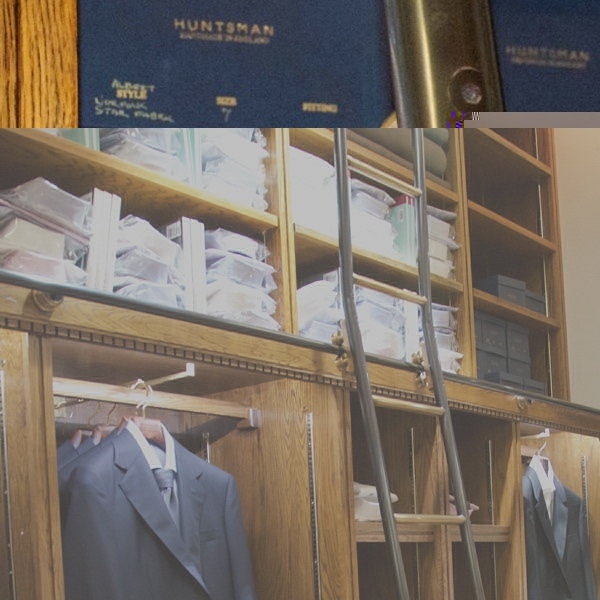 *Installation is a chargeable service, which is quoted on a case-by-case basis. 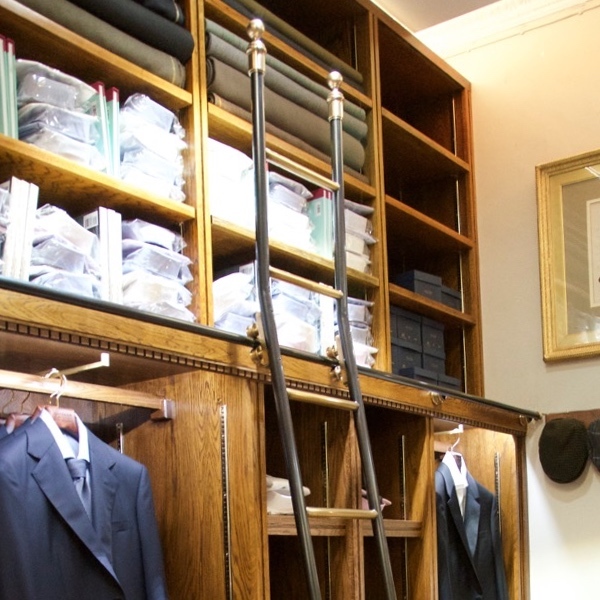 To discuss your project and ideas or for further information, please contact us. 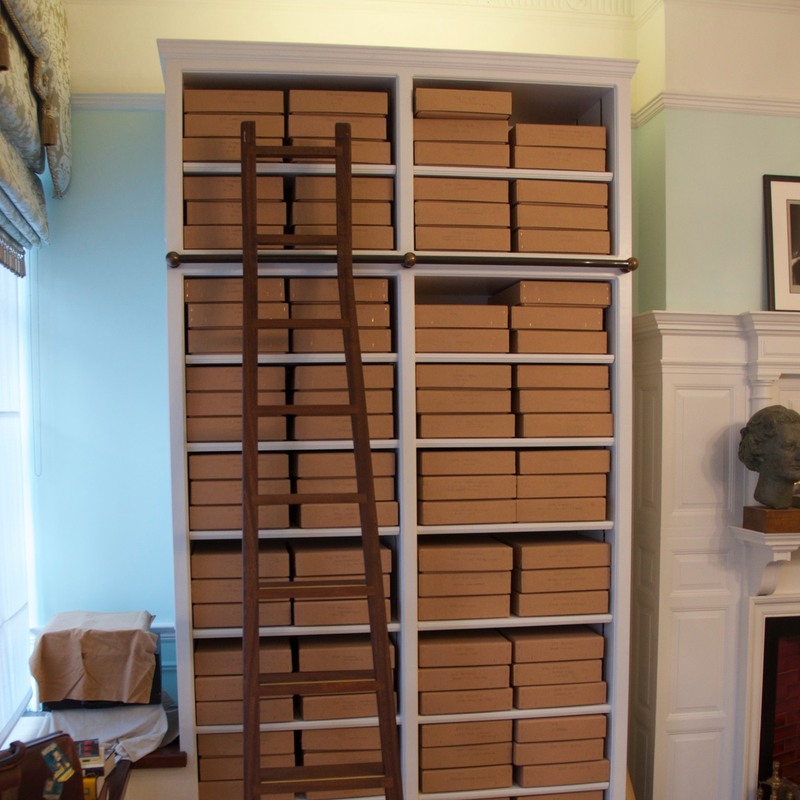 Our bespoke library ladders can be constructed in a variety of styles. 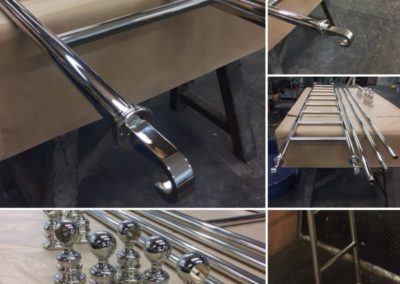 We produce rolling library ladders, which move on small, or large wheels/castors. 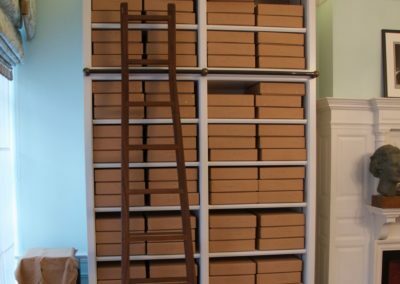 Where it is necessary to move the library ladder from one rail to another, it can be secured by a hook-system. 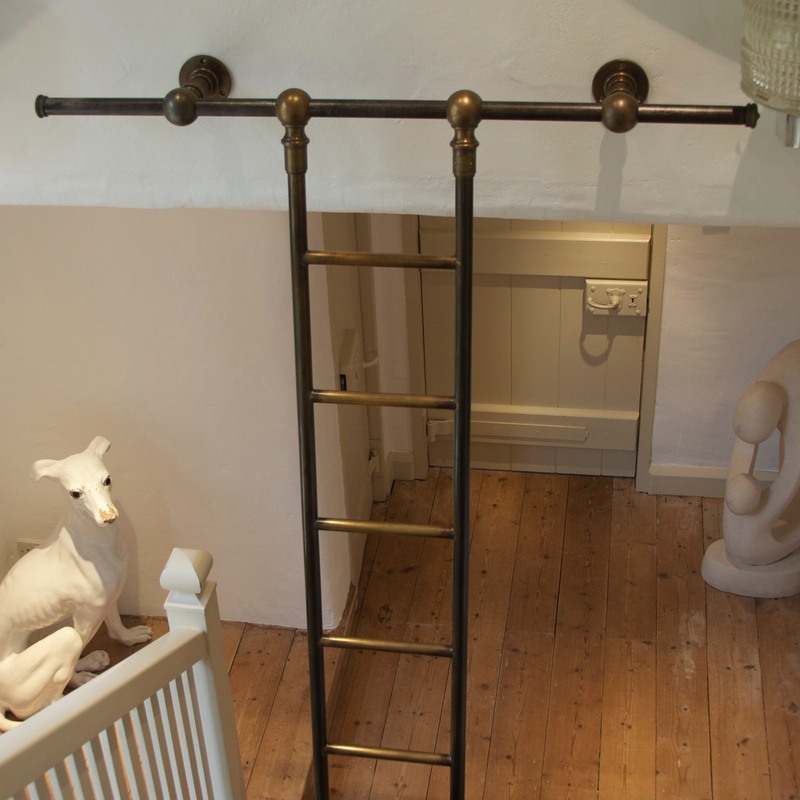 This style of hook-on library ladder is very versatile. 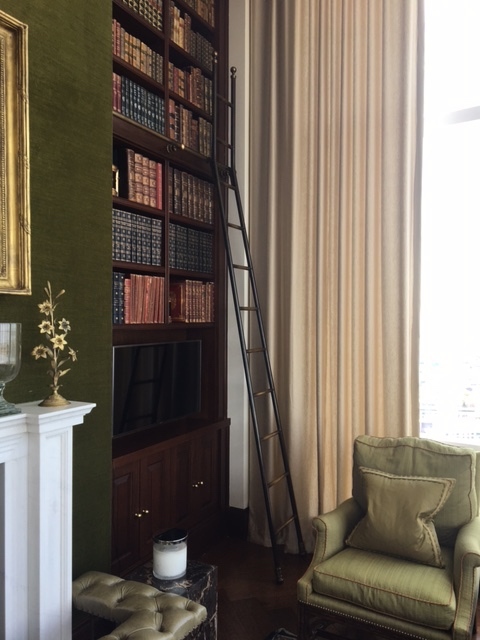 We produce library ladders in all styles, from classical to contemporary. 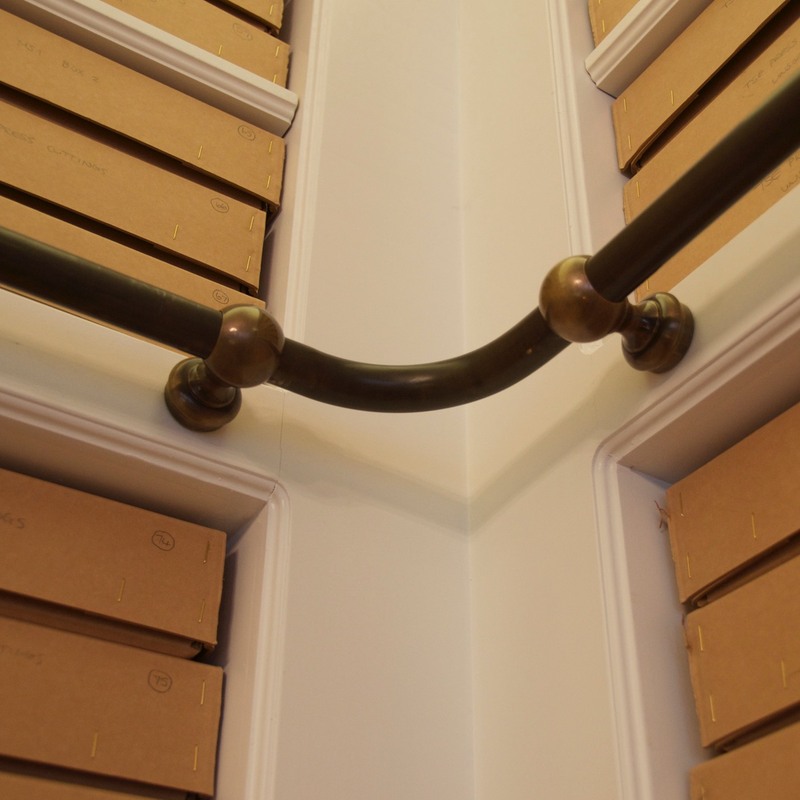 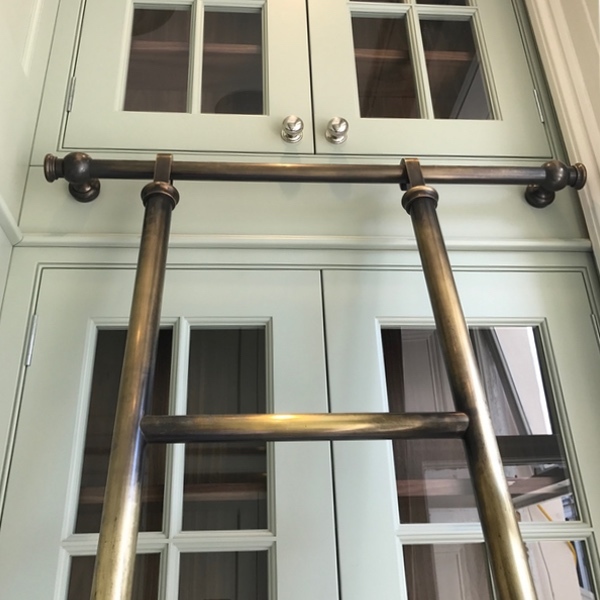 We can design and make antique library ladder styles in a range of materials. 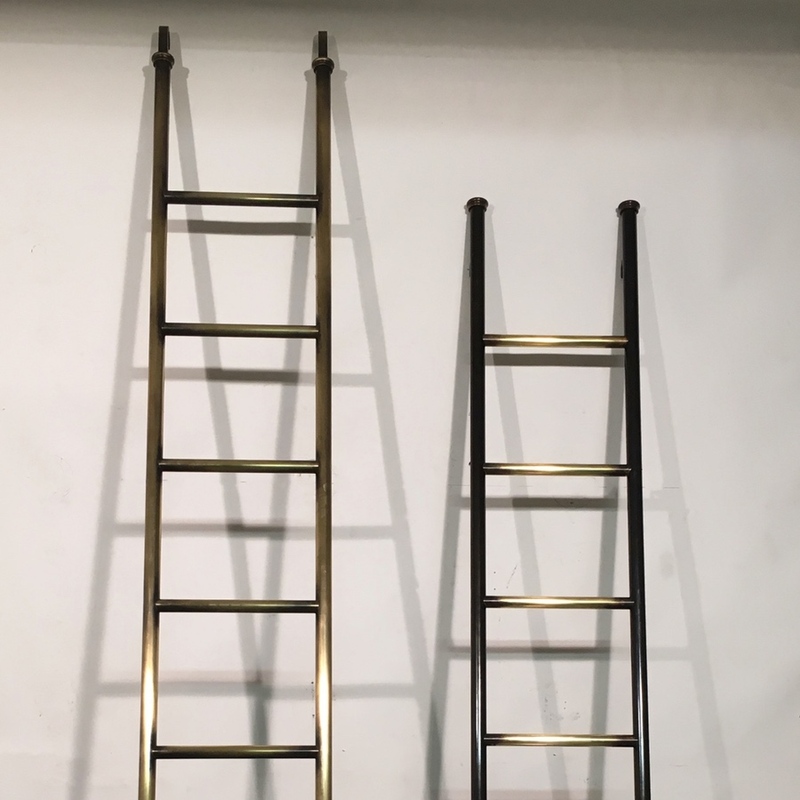 As with the diversity of styles, we also produce library ladders in different materials. 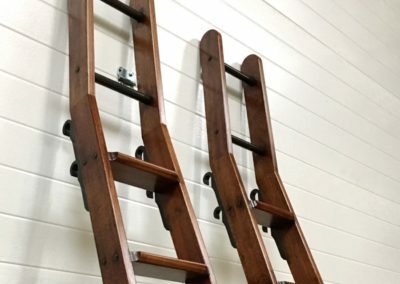 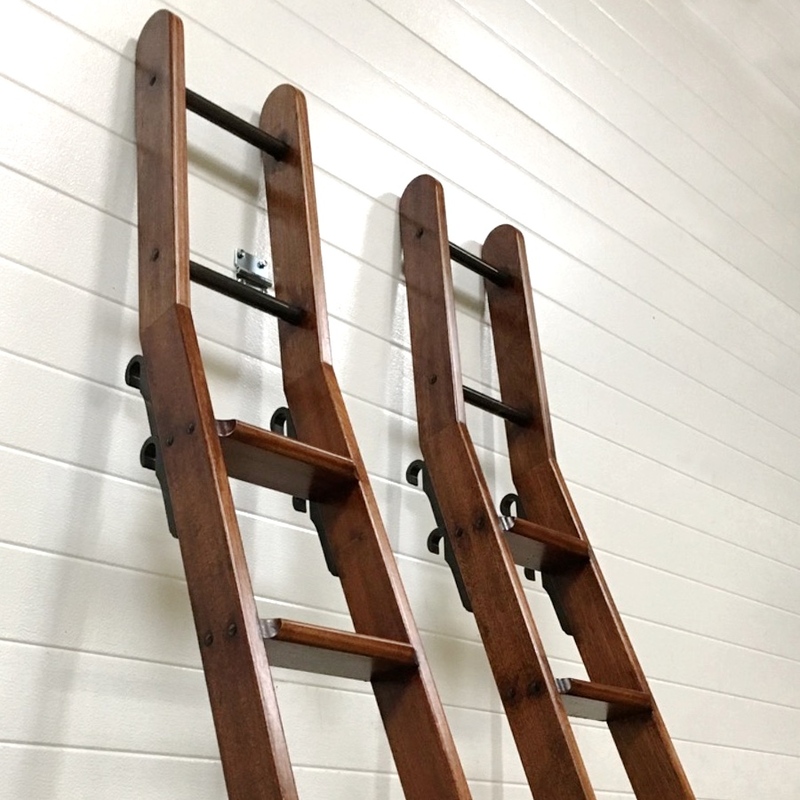 Wooden library ladders are an elegant alternative to the metal versions. 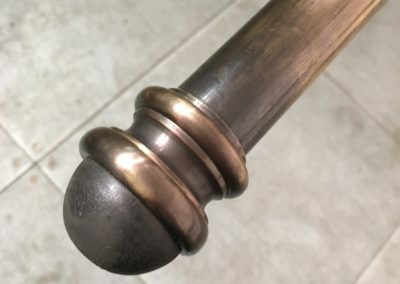 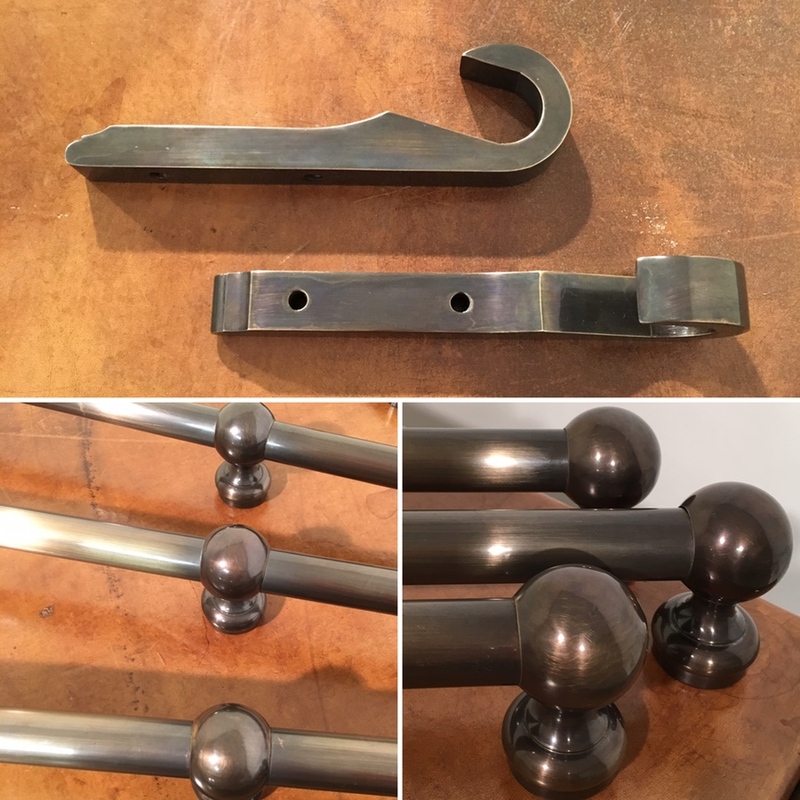 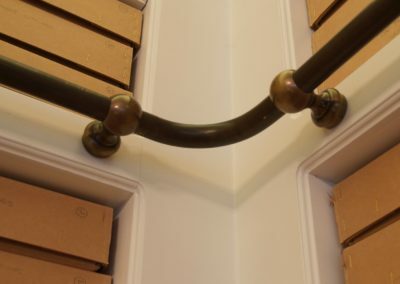 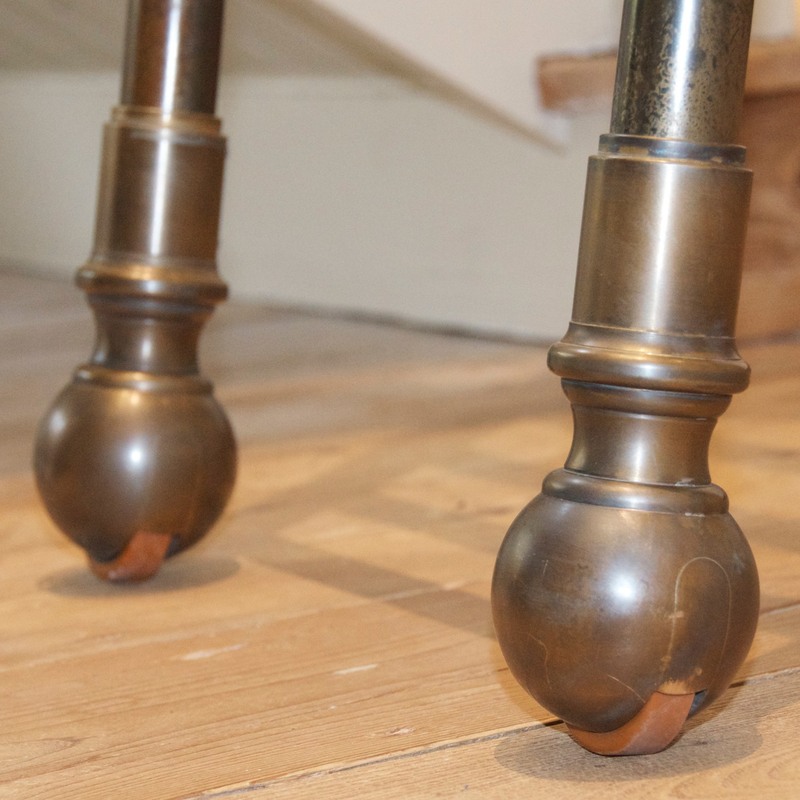 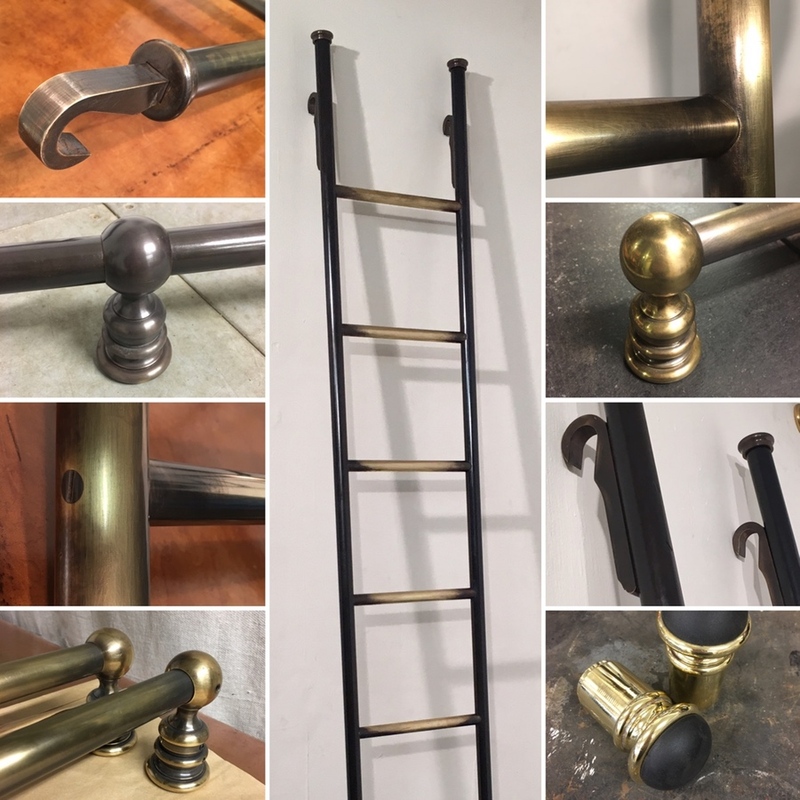 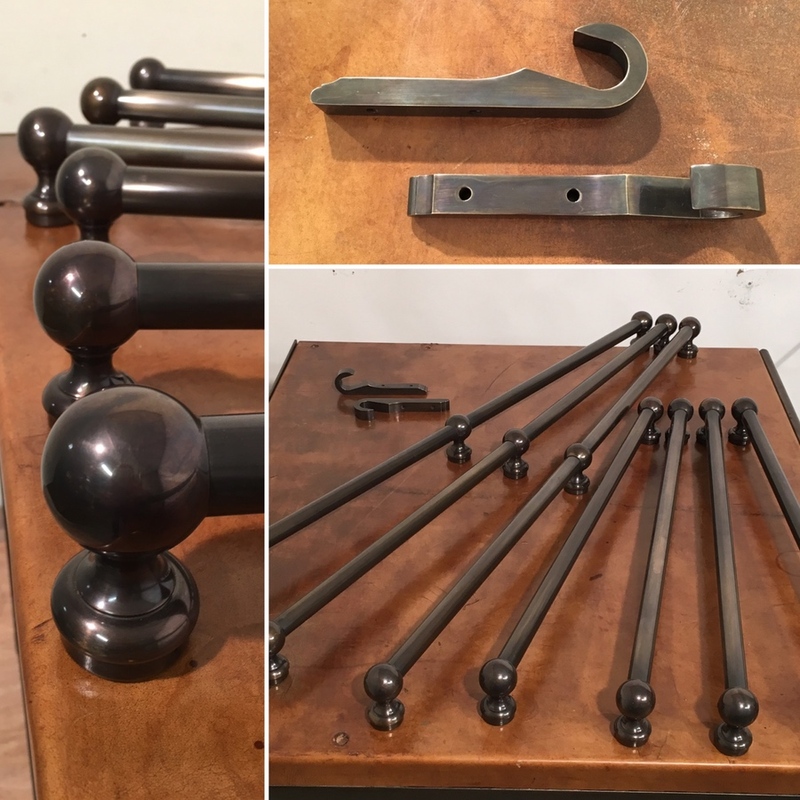 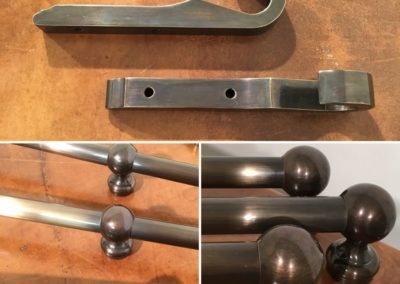 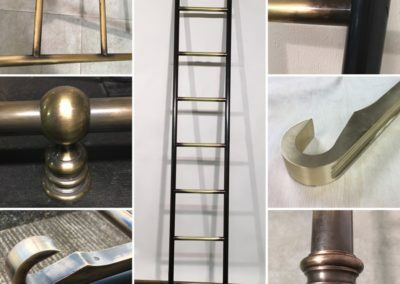 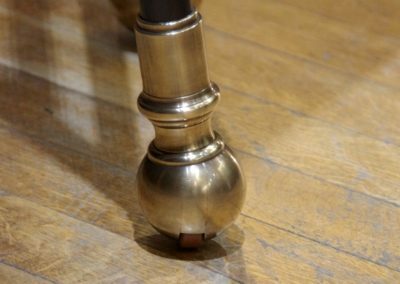 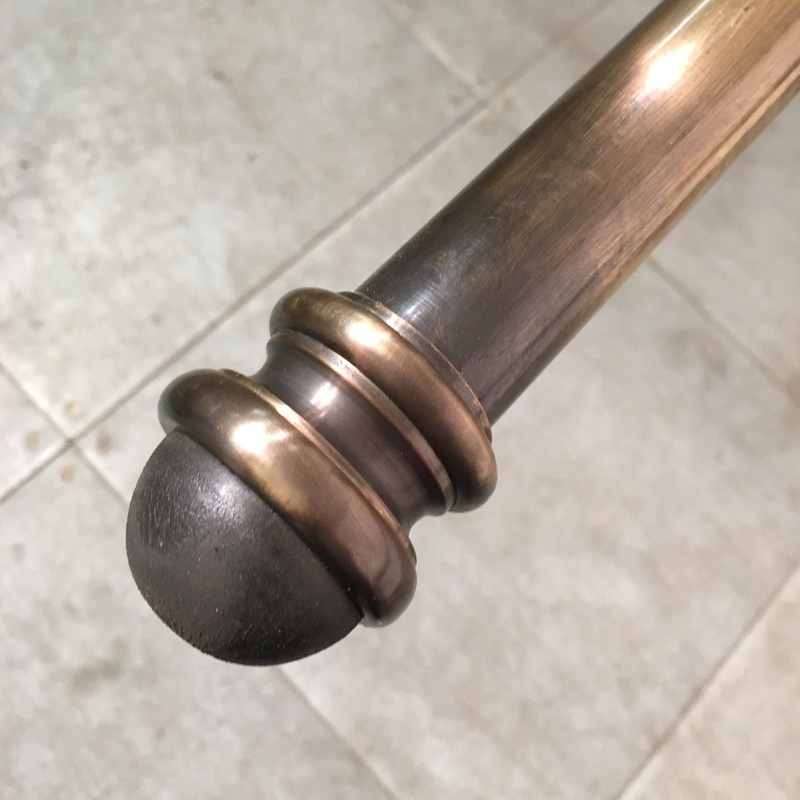 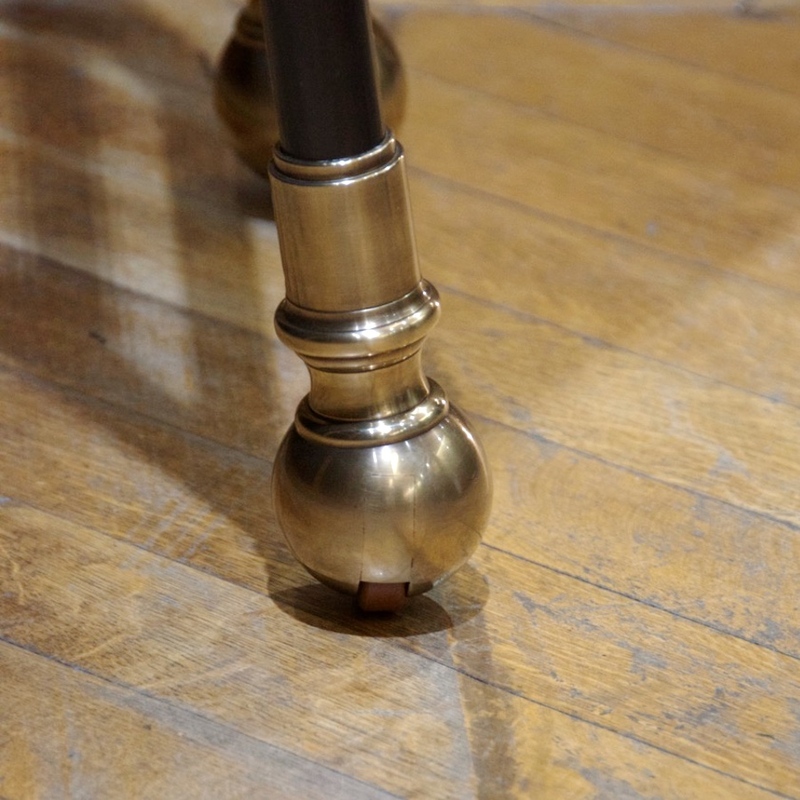 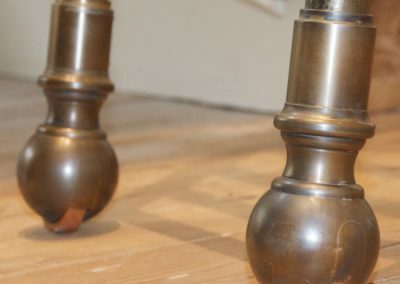 We work with various metals, in particular with brass, which can be aged and patinated to provide a wide range of finishes, complementary to the chosen style. 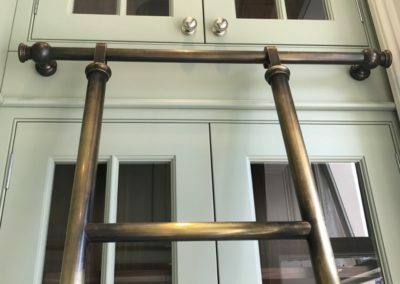 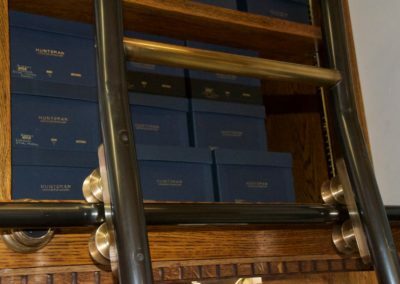 For more information about the metal finishes available for a metal library ladder, please click here. 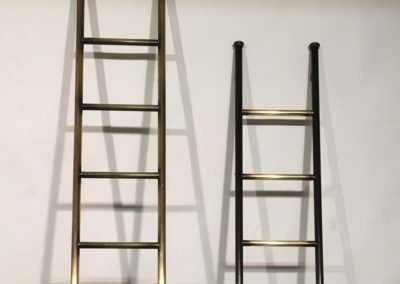 Traditionally, library ladders run on rails. 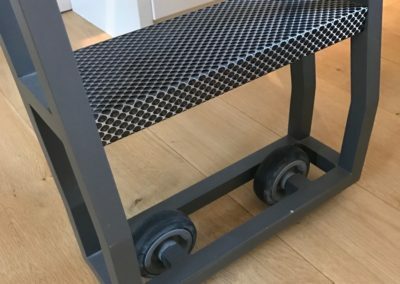 The rails can also be produced from the same range of materials as the ladders. 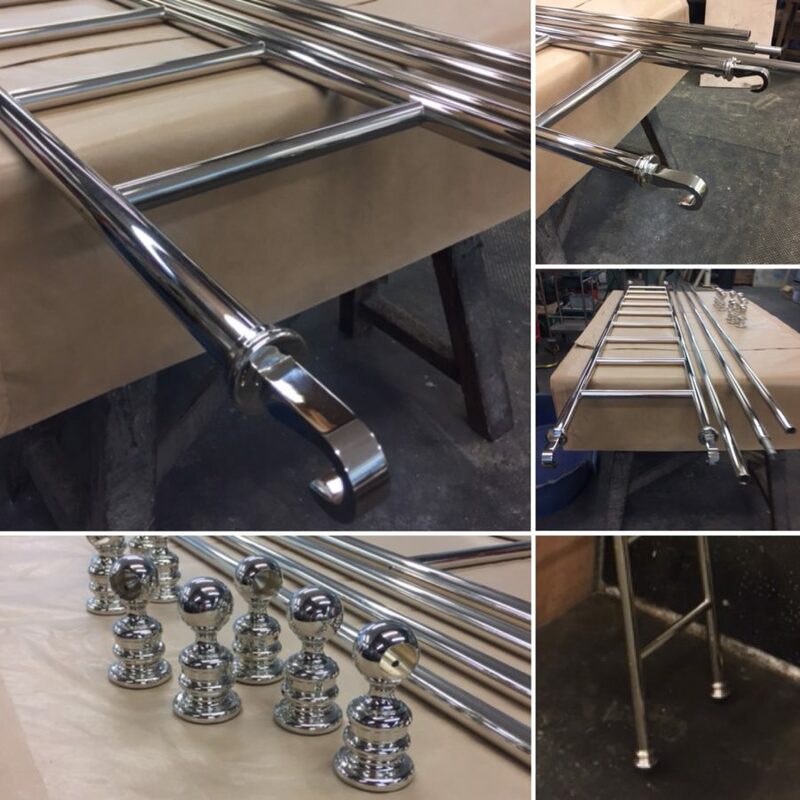 For more information on the metal finishes we produce, please click here.